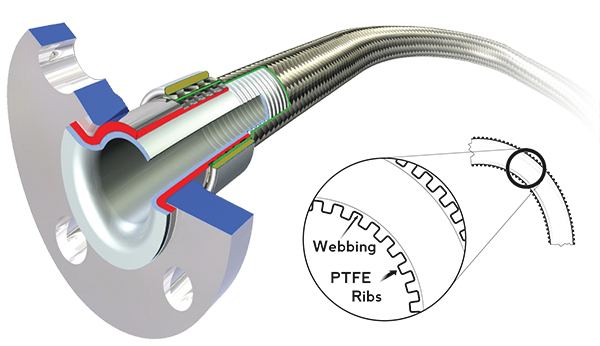 PureFlex combines the best features of smoothbore and convoluted hose into one incredible flexible product; NEXUS™. Smooth I.D. for outstanding cleanability. Convoluted O.D. for excellent flexibility. The Nexus™ is then covered in a 316 Stainless or polypropylene braiding. This helps to protect the unique convolutions from wear and tear, as well as keeping process fluids insulated. Coverings allow the Nexus to prolong its lifecycle.